The phrase: “Keep your mouth shut” is known to everyone. It was used before, it is valuable now. In the last century during the war it was very important to keep silent about what you know. After all, having chatted out foolishly, it was possible to reveal the secret of another person or some kind of military secrets, and spies were everywhere. After all, how did they learn most of the necessary and important information? Yes, it was from talkative people who could tell a stranger to a person behind a glass all they knew. At the same time, without making sure that the person sitting opposite is not a spy, but an honest colleague. Those who give out other people’s secrets in secret, do not like another person in society. After all, this person is not considered with the identity of another or the country as a whole. His desire to show off something new leads to serious consequences. The Soviet authorities understood the complexity of wartime, and they also knew what our people’s weaknesses were. So, they created warning posters, campaign and motivational posters. 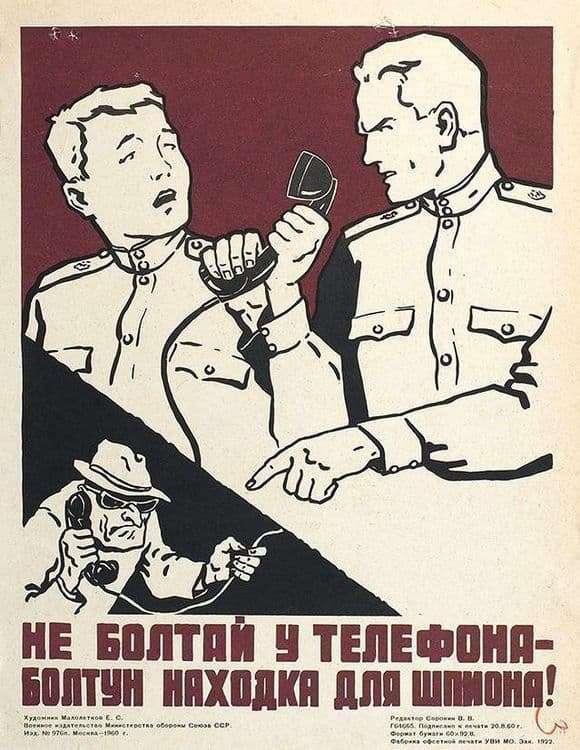 And if a person is weak in language, then such a poster reminded him that he can tell his secret to a spy, and the whole country could suffer from this. Of course, most people considered these posters to be strong motivators, and not everyone wants to be a talker. And with regards to the war, then the life of someone could depend on the disclosure of information. After all, the spies and then were in intelligence to weigh out in the credibility of the person, and get out all the necessary information. After which the enemies carried out their most insidious plans. Looking at the Soviet posters, you understand how correct the actions of the authorities were, which wanted both to support the people and motivate them. In such slogans – our strength. Each person looked with pride on such posters, associating himself, and thinking about his actions.